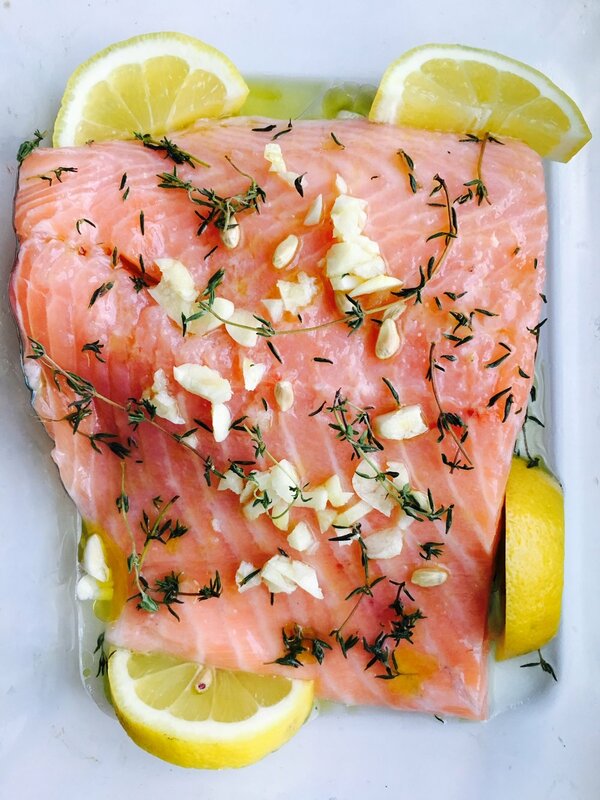 This Garlic Lemon Salmon was oh soo delicious and took under 15 minutes - so it's easy and you can do it! Fish (especially salmon) is fich in healthy omega-3 fats (DHEA being one of them) and is extremely important for cell function. This recipe is foolproof and a great way to get in these important nutrients into your week! This easy mediterranean style dish is a weeknight favorite that takes under 5 minutes to prepare and less than 20 minutes to cook. It's got lots of delicious flavors from garlic, kalamata olives, and roasted cherry tomatoes.